Percival Norton Johnson, the original founder of Johnson Matthey, started off as a gold assayer in London, England back in the early 1800s. His business was a successful one, but that success compounded upon the addition of George Matthey, who joined forces with Johnson in 1851. Upon George Matthey’s arrival, the name of the company as we know it today began to take shape; the company was renamed Johnson & Matthey. It wasn’t until about 100 years later, however, that Johnson Matthey finally hit the big-time. In 1946, Johnson Matthey was courted by the UK government to be the sole producers of all silver British coins. Once the company began to produce silver coins for the English government, people began to notice that the design of nearly every coin had changed. This design change was Johnson Matthey’s and meant that they will leave an indelible spot on British coins. The changes were not wildly popular at first, but as time wore on the people in the UK began to love them. Flash forward to the 1970s and you will see that Johnson Matthey switched the game up again by becoming a massive producer of catalytic converters in motor vehicles. The reason why JM decided to immerse themselves in the auto industry was because there was money to be made if they could help reduce the amount of toxins produced by a given motor vehicle. 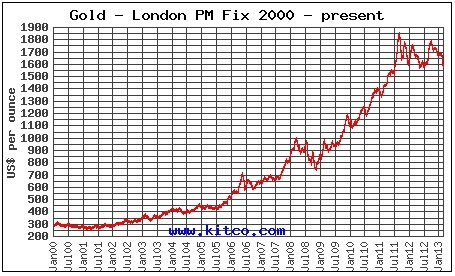 Around this same time Johnson Matthey also saw it suitable to begin production of silver bars of virtually every size. Nowadays Johnson Matthey is still working in the auto industry but is also heavily focused on their large-scale production of gold and silver bars. While JM is still an English company, they are world-renowned, and the fact that they have been in business since the 1800s only makes them look that much more credible. It is no wonder that people love Johnson Matthey so much. Since JM has been in business for so long, it is no surprise that they produce gold and silver bars for just about any type of investor. Whether you are looking to invest thousands and thousands of dollars, or maybe just a few hundred, Johnson Matthey bars are an incredible option. 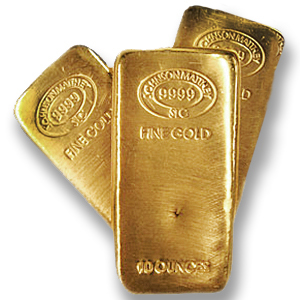 They produce 1 oz bars as well as bullion that reaches and exceeds 100 ounces. Most of their bars are fairly standard, though newer bars have an attractive design which makes the bar look as valuable as it is. Aside from the everyday bars you will come across, Johnson Matthey has also been known to produce special edition bars for all sorts of unique occasions. You can expect special edition bars to cost just a bit more than a similarly sized bar with no special qualities. Despite their popularity around the world, and the fact that they have been in business for almost 200 years, Johnson Matthey gold bars still carry some of the lowest, most reasonable premiums around. In your research you will have a hard time finding a gold bar which has a lower premium than a JM bar. Of course, as you know, premiums are most often dictated by the individual online precious metals dealer as opposed to the producer of the bars, but in most cases Johnson Matthey bars carry some of the lowest premiums. Doing a little competitive shopping around different sites on the internet will help you come to this realization very quickly.